No refund if cancelled before check-in time. Grand Hometel Mumbai is Sarovar's vibrant value brand that redefines the concept of an economy hotel. The hotel is defined by intelligent amenities and essential services which speak to the needs of the savvy, budget-conscious traveller who seeks quality and affordability. It is strategically located in Mindspace at Malad, the heartthrob of Mumbai's commercial and IT centres, and near the Bombay Exhibition Centre at Goregaon. The 92 compact rooms blend aesthetics with 3 star functionality to provide comfortable, restful stays. A multi cuisine restaurant and lounge bar provide much desired respite. 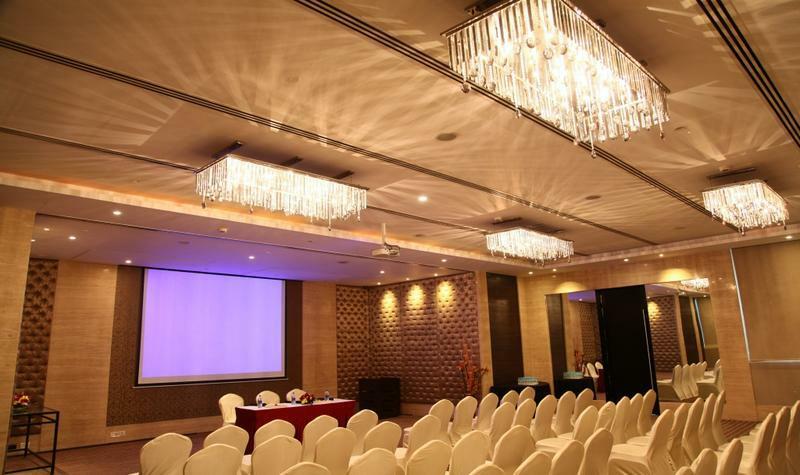 Outstanding business facilities with 2 board rooms and a rooftop venue make meetings and conferences effortless. The hotel provides Wi-Fi across the full hotel.